Energetic and engaging programs for schools that are both educational and fun! 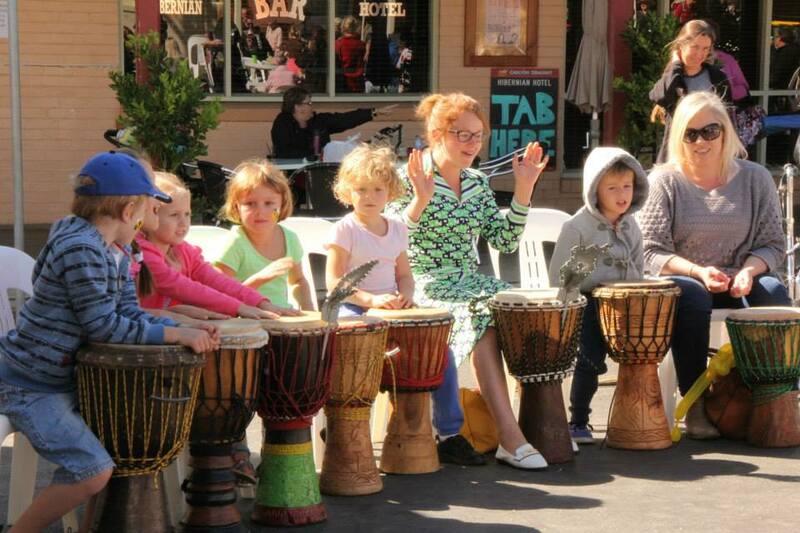 We provide African hand drums, bells, shakers and tribal dress-ups for any number of students, of any age-group. 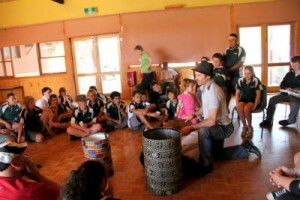 The workshops are all hands-on and teach students traditional African drumming, dance, song and body-percussion. They are interesting, accessible and active. Even the most difficult audience will be engaged! 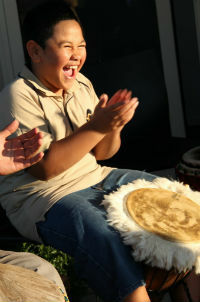 Drumming is a great way to promote focus, self-awareness, confidence and improve communication and cohesion wihin a student group. Our workshops are perfect for cultural days, end of year activities, as an adjunct to your music and dance curriculum, or just for something different. They can be tailored to suit your requirements. All you will need to supply are the chairs for the participants and a large space (outdoors in good weather is perfect), where there are no noise restrictions. We can also provide excellent resource packages which may be used in the class room as pre or post incursion activities, or on their own. 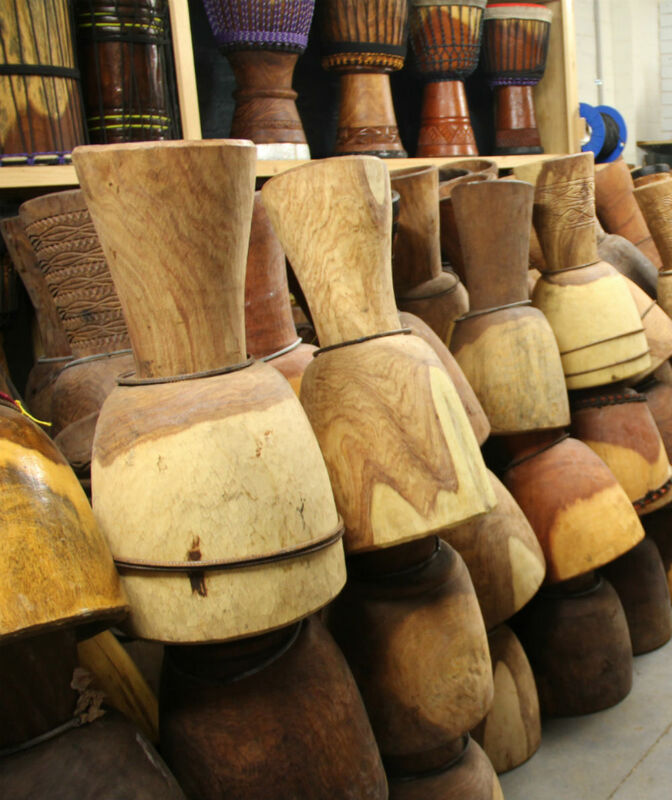 Students make high-quality, durable African stick drums (dun duns) from scratch, which can be used by the school for years to come. Some materials are recycled while the skins are of the highest calibre and will not split with heavy use. 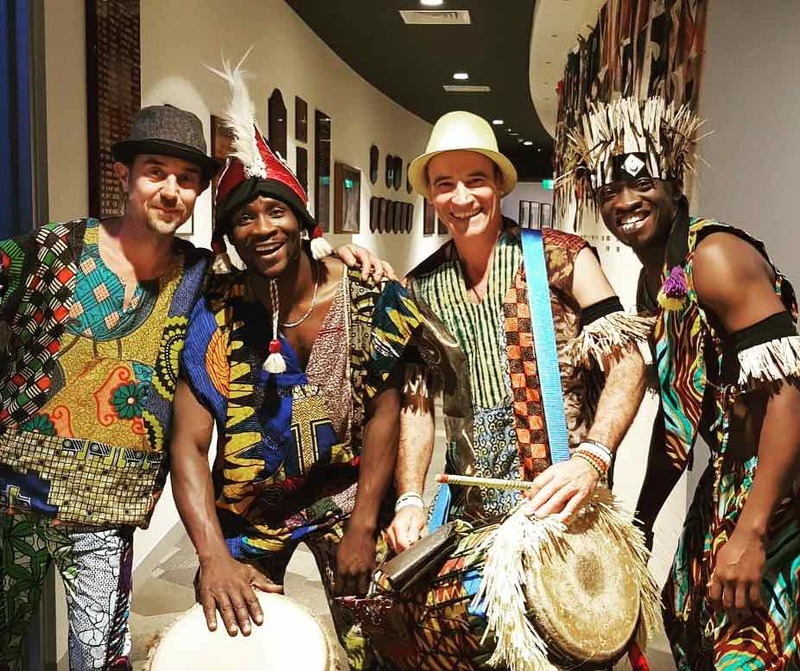 Simon has been making and repairing African drums for 15 years and has become known for his workmanship and understanding of how to make quality drums, that sound great. 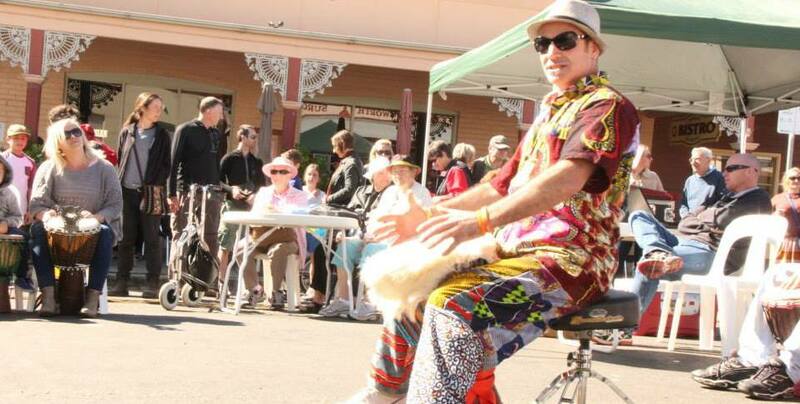 He has applied his knowledge to creating drums out of old oil tins and PVC piping, with traditional goat and cow hide. 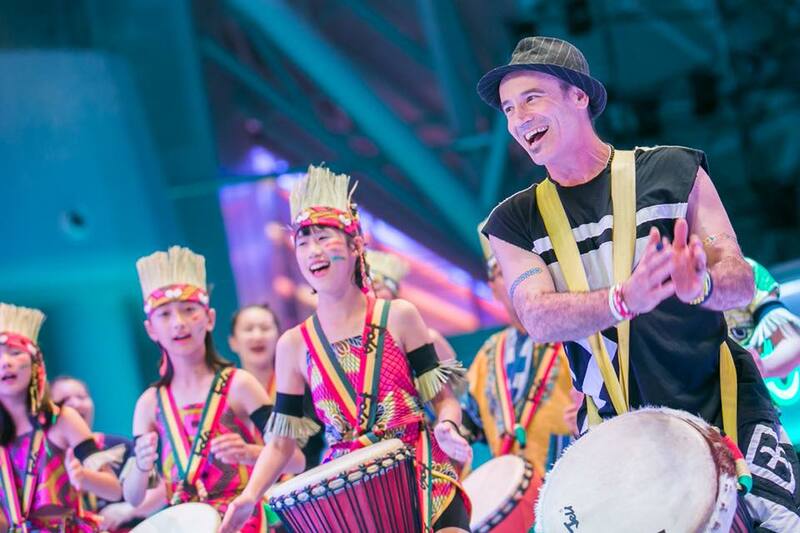 Students will be able to decorate their own drums and learn about creating tension on skins which will affect the sound of the instrument. Combine this with a drum-playing workshop and you have your performance group ready to go. Prices are influenced by the number and type of drums to be made.